neurons. Credit: Courtesy of Hongkui Deng. 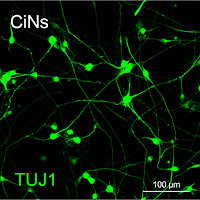 "We found that the conversion process induced by our chemical strategy is accompanied by the down-regulation of [skin-cell] specific genes and the increased expression of neuronal transcription factors," said human study co-author Jian Zhao, of the Shanghai Institutes for Biological Sciences and Tongji University. "By coordinating multiple signalling pathways, these small molecules modulate neuronal transcription factor gene expression and thereby promote the neuronal cell transition." The authors add that the direct conversion bypasses a proliferative intermediate progenitor stage, which circumvents safety issues posed by other reprogramming methods. 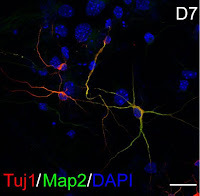 Zhao's paper, co-led with cell biologist Gang Pei, also shows that the pure chemical protocol can be used to make neurons from the skins cells of Alzheimer's patients. Most of the work using patient stem cells has been done by using transcription factors – molecules that affect which genes are expressed in a cell – to create induced pluripotent stem cells. Chemical cell reprogramming is seen as an alternative for disease modelling or even potential cell replacement therapy of neurological disorders, but the "proof-of-concept" is still emerging. "In comparison with using transgenic reprogramming factors, the small molecules that are used in this chemical approach are cell permeable; cost-effective; and easy to synthesize, preserve, and standardize; and their effects can be reversible," says mouse study co-author Hongkui Deng of the Peking University Stem Cell Research Center. "In addition, the use of small molecules can be fine-tuned by adjusting their concentrations and duration, and the approach bypasses the technical challenges and safety concerns of genetic manipulations, which may be promising in their future applications." 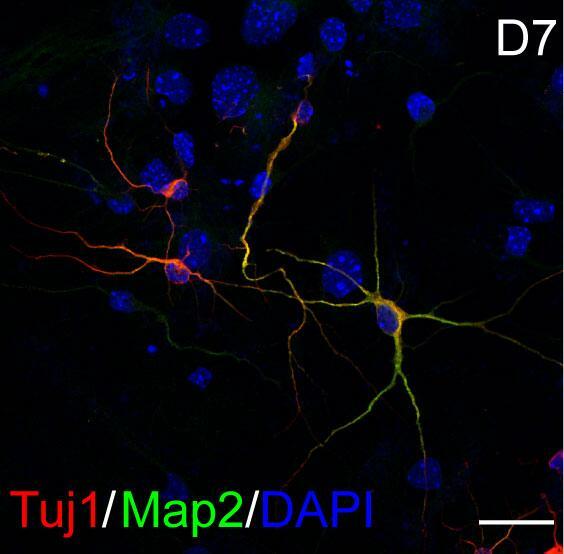 "We hope in the future that the chemical approaches would be more robust in inducing functional mature neurons," Deng says. "In addition, we are attempting to generate specific neuronal subtypes and patient-specific functional neurons for translational medicine by using pure chemicals." 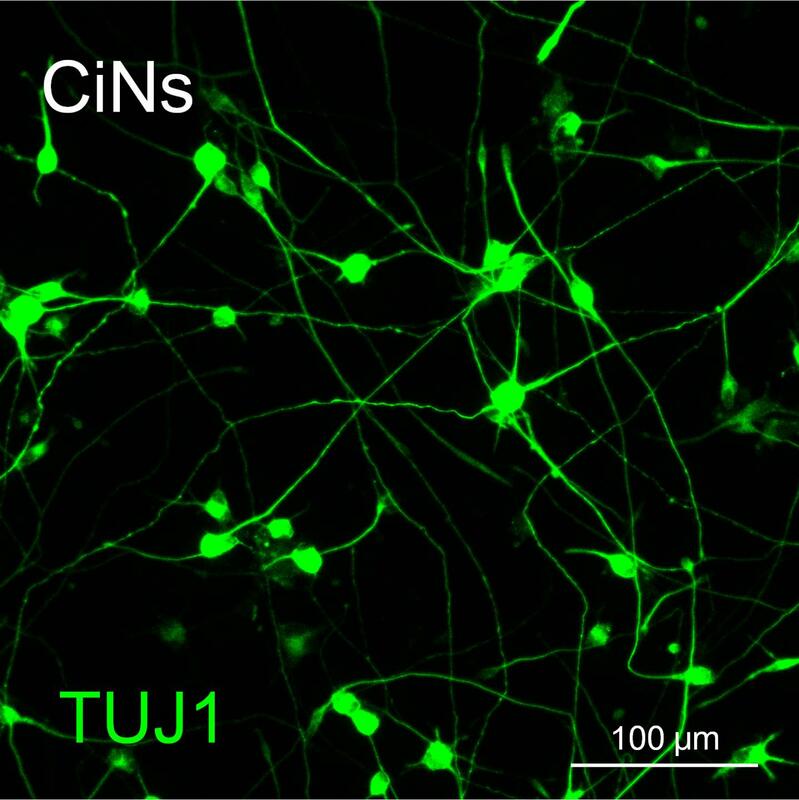 "It should be possible to generate different subtypes of neurons with a similar chemical approach but using slightly modified chemical cocktails." "It also needs to be explored whether functional neurons could be induced by chemical cocktails in living organisms with neurological diseases or injury," she adds.